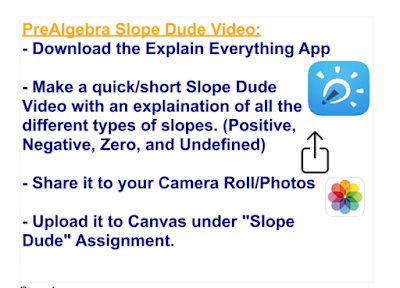 My 8th Grade World: Explain"ing" Everything about Slope! The first nine weeks are officially over. We finished off the first quarter with parent-teacher conferences Thursday night after school (yes, after a full day teaching we have conferences from 4-7pm) and Friday morning from 8am-12pm. It's super nice to have the two days back-to-back for conferences and it's really nice to get off Friday at noon, but Thursday is one long day. With conferences on Friday that means students get a freebie day at the end of the quarter and enjoy themselves a nice three day weekend. We had a PreAlgebra test on Wednesday, so basically, according to our pacing guide, we were "supposed" to start the next chapter on Thursday before a three day weekend. 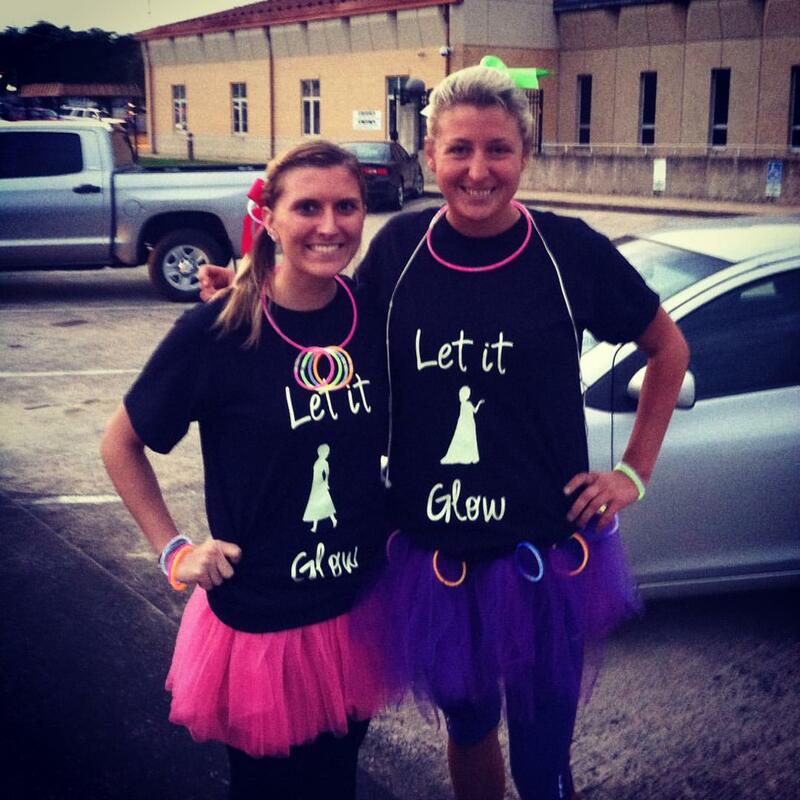 Needless to say, Mrs. Blocker (my co-teacher) and I didn't start the chapter with our kiddos. Our next chapter might be the most important chapter of the year, so after some discussion, we decided to leave the first part of the chapter for Monday. We figured covering the overall basics, definition, and importance on Monday would be better than a Thursday before a long weekend. The videos turned out great and students really enjoyed making them! Explain Everything was great to use and super user friendly since it was most kid's first time using the app. Students were able to use the app with no problems and easily save the video to their camera roll and upload it to Canvas. There are two videos that I just have to share in order to show their creativity and how students really used the video to display their personalities. However, one had a slight mistake in identifying "undefined" slope, and the other video has a brain-slip in the same part, but came around by the end of the video to correctly label all the parts! But I really like these videos for how creative both students were! 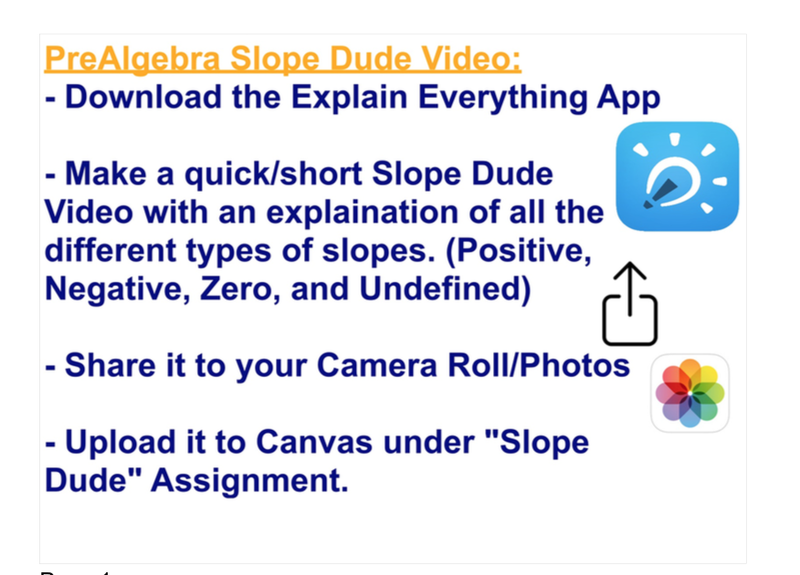 I loved this idea that Mrs. Blocker and I came up with for our introduction to slope and will definitely be using this in the upcoming years. 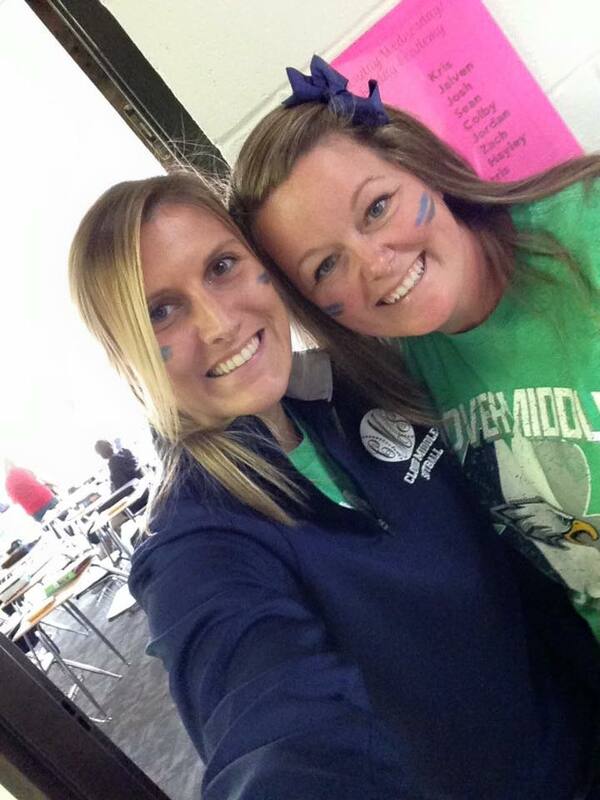 It was a great way to end the week and prepare students for ideas that we would be covering after their long weekend! 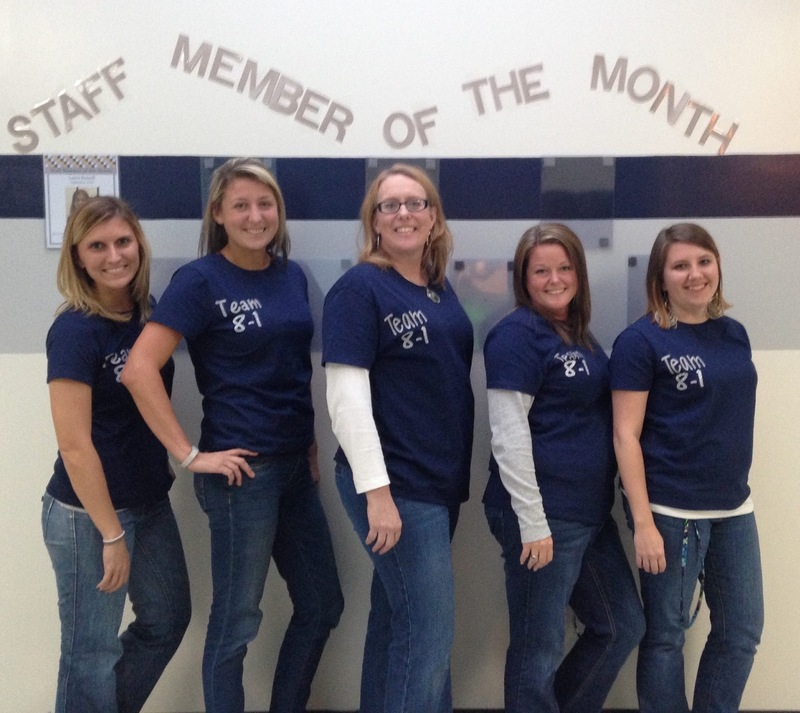 Before closing out this post, I have to share updates on my fabulous team this year. 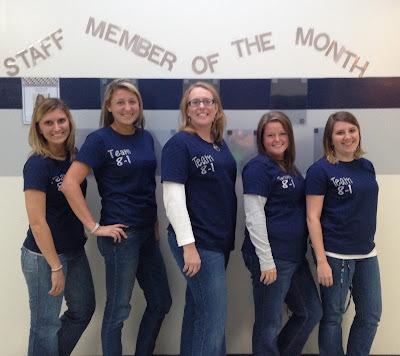 We have matching Team 8-1 Monogrammed shirts that we rocked for Parent-Teacher conferences. Made by our wonderful Mrs. Blocker! 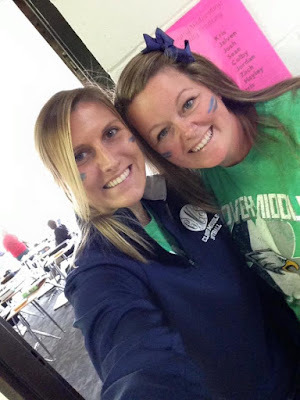 My science teammie and I rocked out some war-paint for our big rival football game. Both our 7th and 8th grade football teams took down our in-district rival Oakridge Middle!